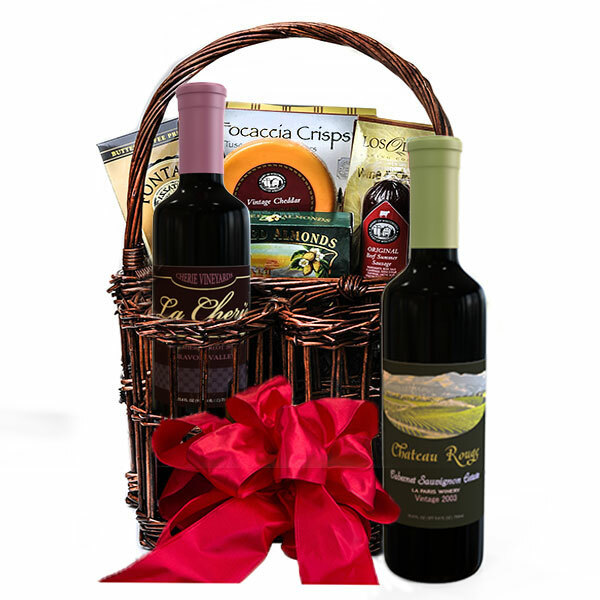 GiftBasket.com is an online gourmet gift basket retailer specializing in wines, corporate gifts and even non-edible gift options. They have a large variety of products to choose from all neatly organized on their site so that you can find the perfect gift basket for just about every occasion. An online retailer with a large inventory of gift baskets for almost every occasion. There are plenty of basket options to choose from on GiftBasket.com. They include everything from the usual gourmet options – wines, cheeses, snacks, coffees, teas, etc. and they even have beer gift baskets. They offer a lot of non-edible options, including flowers, balloons, baby toys and care packages and spa gifts. When it comes to brands, they do offer some of the big brand names, including Starbucks, Godiva, Farr’s, Wonderful, Beringer Wines, Burt’s Bees, Radio Flyer, Lindt, Ghirardelli, St. Michelle, Torn Ranch, and more. In terms of variety, they do cover a lot of different options and needs. There is little customization available with GiftBasket.com – though this isn’t something rare from these companies. We do note that you can add-on to a gift basket once you have selected it. The premium add-ons will vary depending on the basket and can include bottles of wine, teddy bears, nuts, dried fruits, etc. You can also change the ribbon color or add a ribbon with a special message (such as “happy birthday”) or add a coffee mug with a message. The cost of some of these add-ons is pretty steep. They don’t let you swap out products in their baskets and there are no design-your-own options from GiftBasket.com at this time. They have a build-your-own option, but it just offers individual items that you order separately – you would have to put them together yourself when they arrive. 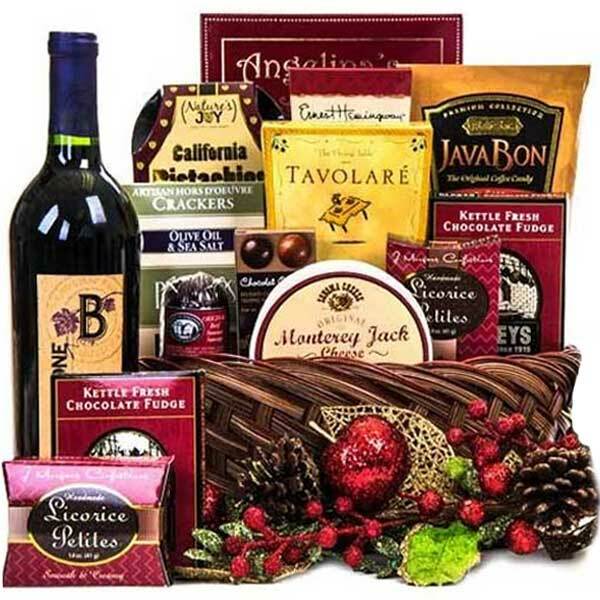 GiftBasket.com does cover the usual list of holidays – Thanksgiving, Christmas, etc. They also include a variety of sentiments, such as baby baskets, housewarming gifts, get well baskets, “thank you” gifts, secretary gifts and even birthday gifts or home décor-themed baskets. They try to cover just about every occasion a person would order a basket and some of their themes are fun and exciting. Unfortunately, they don’t cover things like Kosher or vegan, but they do have one or two baskets for gluten-free shoppers and organic shoppers. We hope they improve on that inventory later – especially with the growing demand for these types of specialty selections. The corporate options are not as impressive. While they do have gifts dedicated to corporate buyers, they have little to no information about their corporate buying program – which is disappointing and definitely something we hope they expand on later. There are no corporate sales team members, discounts, or even pages for corporate orders. Price-wise, GiftBasket.com is rather expensive compared to the competition. Their baskets are much smaller and for the price, could be too much for some buyers. That being said, a large volume of their baskets come with free shipping – which helps buyers save on that. They do offer internet specials and holidays specials on their site, but the prices do not receive heavy discounts. Baskets can range from $25 to over $300 with GiftBasket.com, but there are very few “packed” baskets under the $100 range. A large majority of the baskets offered on their site come with free ground shipping. While they do offer last minute shipping – this just means the gift delivers within 24 hours. The expedited price, however, is steep and these last minute gifts default to ground shipping – which means if you want them delivered in 24 hours like they say, you need to upgrade to the higher priced overnight delivery option. Shipping rates are not published on their site and this is something they should work on. Most vendors offer a flat rate per expedited item or at least a range. With GiftBasket.com it solely depends on the basket and recipient’s location – so prices can vary greatly. Items are presented very nicely with GiftBasket.com and we like that they use a higher grade of baskets and boxes – items you could actually reuse. They also allow a free gift message, but you cannot select the occasion’s card like other vendors allow you to. Also, you cannot zoom in on products in each basket on their site – which may be difficult for those that want to see exactly what they are getting. Most products have limited information as to what is included or even the size of the product – which may turn a lot of buyers off when they don’t know what they are paying for. GiftBasket.com does allow returns and refunds, and offers a 100 percent satisfaction guarantee. But, they also charge a $25 restocking fee when you return new, unopened items that were made and sold by GiftBasket.com – most companies do not do that. All gifts must be returned within 10 days of being reported and all claims must be filed within five days of receipt – one of the tighter deadlines we have seen from these merchants. They do not offer refunds for shipping delays and they do not offer much recourse if something arrives that you did not order; instead, they state in their policy that similar items may be used to replace items currently out of stock. GiftBasket.com is in serious need of a FAQs section. The little information they offer on their site does not tell potential customers (or reviewers for that matter) much of their fees or policies. They have limited information about shipping charges and to find out these details you need to contact customer service. Hopefully they improve on this in the future. Customer service is available via email and toll-free support. Live chat is also available, but they are not clear about their support hours – other than that they are not 24/7. GiftBasket.com is one of the few merchants that is not BBB accredited. There are no known complaints with the BBB and they have no ranking as of 2015. Unfortunately, we see this as a drawback because while they have no complaints, they are one of the few to be non-accredited and have no score. Under $50 – Baskets in this range are extremely small and offer up to three pieces inside or small gift towers with assortments. $50 to $100 – A lot of non-edible baskets fall into this range. Full-size and sample size products are used under $100, but very few baskets have wine or other beverages included under $100. $100 to $200 – These baskets are more robust and include edible and non-edible options. Some will include one to two bottles of wine (full-size) and a hearty assortment of snacks as well as quality baskets. $200 and up – The best baskets from GiftBasket.com fall into this category and feature multiple bottles of wine, champagne, liquor, etc. California's Six Best Features 6 Of The Best. GiftBasket.com definitely has the variety to suit almost every need, but it is unlikely they will appeal to corporate buyers only because of the limited information and options available via their site. They offer last minute shopping for those in a rush – which is always a great feature. 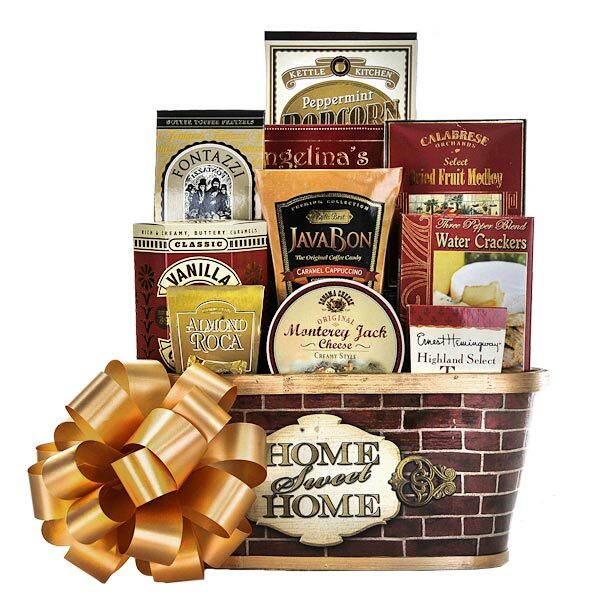 We enjoy the large variety of baskets offered by GiftBasket.com and we do love that they offer free ground shipping on most of their products – this makes them ideal for those that don’t want to pay as much in shipping as they do for their items. We do not like the restocking fee for returns. It is odd to see a merchant that offers a 100 percent satisfaction guarantee, but then charges you to return the products. Also, their unclear information and lack of factual information on the site makes it hard to see just what you are purchasing. They rarely describe what is in their baskets and for such a high price point, customers will want to know more specifics. Their lack of corporate information is also perplexing. Most companies will go overboard with corporate gift giving information to entice corporate buyers, while GiftBasket.com doesn’t even touch on corporate buying perks and policies what-so-ever. 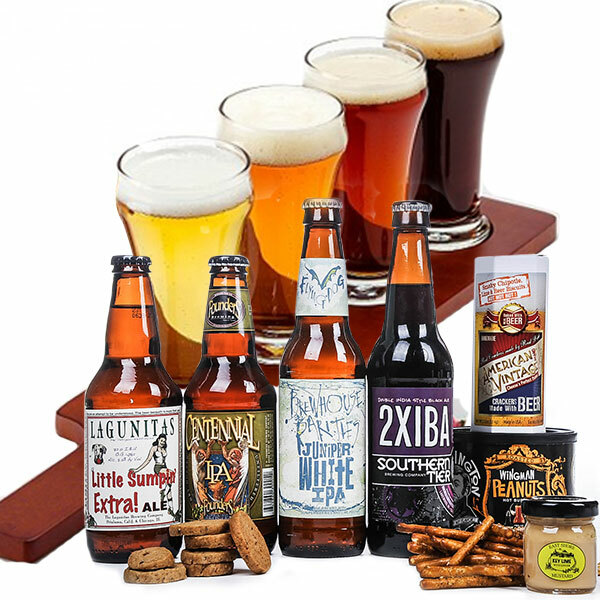 GiftBasket.com is still a great option for those that want variety, but the steeper prices and unclear shipping may make them undesirable to some. That being said, they are still a quality company that offers big name brands and expertly designed baskets. Under $50 - Baskets in this range are extremely small and offer up to three pieces inside or small gift towers with assortments. $50 to $100 - A lot of non-edible baskets fall into this range. Full-size and sample size products are used under $100, but very few baskets have wine or other beverages included under $100. $100 to $200 - These baskets are more robust and include edible and non-edible options. Some will include one to two bottles of wine (full-size) and a hearty assortment of snacks as well as quality baskets. $200 and up - The best baskets from GiftBasket.com fall into this category and feature multiple bottles of wine, champagne, liquor, etc.